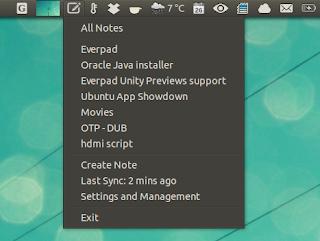 Everpad is a Linux client for Evernote, a popular note taking service. The application comes with a Unity lens that supports previews, Ubuntu AppIndicator for quickly accessing your notes, supports Evernote tags, notebooks, resources, places and more. 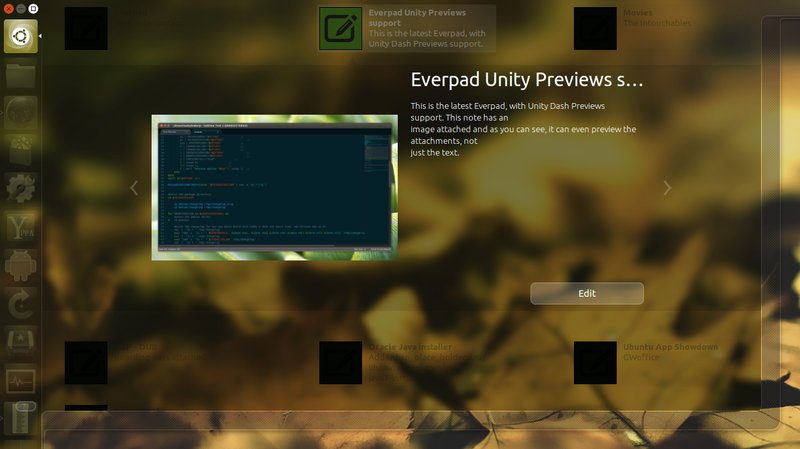 Even though it has many Unity-specific features, Everpad isn't just for Unity and it works with GNOME Shell or KDE too (it even has Krunner integration). 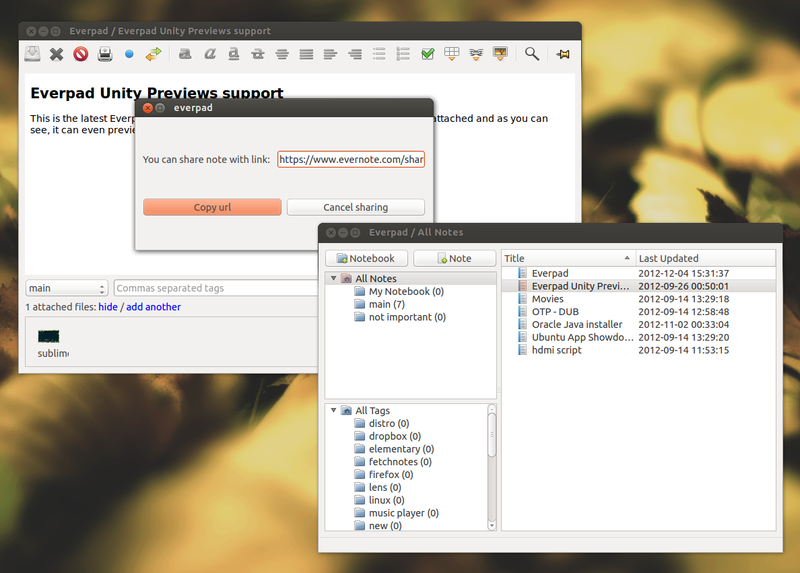 Even though the latest Everpad 2.5 changelog mentions basic LXDE support, Everpad didn't work with Lubuntu 12.10 (LXDE) in my test: the Evernote authorization didn't work, but hopefully this will be fixed soon (I've reported the bug here). 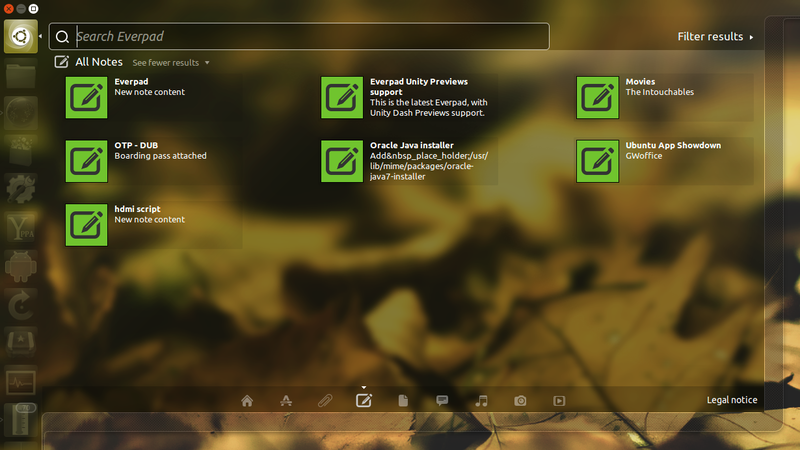 This didn't occur in my tests under Ubuntu 12.10 or 12.04 with Unity. If Everpad doesn't work, try to log out and log back in! For other Linux distributions, see the Everpad wiki for installation instructions.